In the second of a four part series investigating how the nation is engaging with the Olympics, Will Youngman of GfK's Digital Market Intelligence team looks at whether sponsors have successfully communicated their link with London 2012. As a global event watched by four billion people, many brands have bought into the Olympics by becoming sponsors. As the host country the UK has been awash with brands tying themselves to the Games, but have British consumers noticed their links to the greatest show on earth? To find out which brands have made the greatest connection to the public in the run-up to London 2012, we spoke to 11,000 people during May and June and asked whether they could name the sponsor brands of London 2012. Over these two months our results show that awareness of sponsor brands increased from an average of two in May to three in June. Given that there are a total of 31 B2C brands supporting London 2012 this average isn’t an especially high number. However, this relatively low average masks much better news for a select group of brands. Between a quarter and a third of the UK population are aware that Coke and Visa are partner brands of the Olympics, suggesting they have been most effective at communicating their sponsorship of the Games around the UK. A second tier of brands that includes Lloyds TSB, Samsung, P&G, BT, EDF and others are hovering at around 15% awareness, while the remaining brands including BP and BMW are further behind. Our results show that - outside a few notable exceptions - the vast majority of sponsors are struggling to effectively communicate their sponsorship of London 2012 to the British public. This lack of sponsor recognition could be a consequence of the overwhelming similarity between the advertising of partner brands - after all, there are only so many Olympians a consumer can see before they think they all seem the same. Another factor to consider is that the sheer number of brands trying to link themselves to the Games makes it hard for any one in particular to be heard through the noise. Whatever the reason is, our figures clearly show that the vast majority of bands have missed the opportunity to effectively engage with UK consumers afforded by this historic occasion. However, some brands have capitalised on the Olympic link. Why is it different for them, though? Our analysis suggests the answer is simple: They were involved in the torch relay. As mentioned in our previous article, the start of the torch relay triggered a flurry of anticipation about the Games which continues to ripple around the UK. 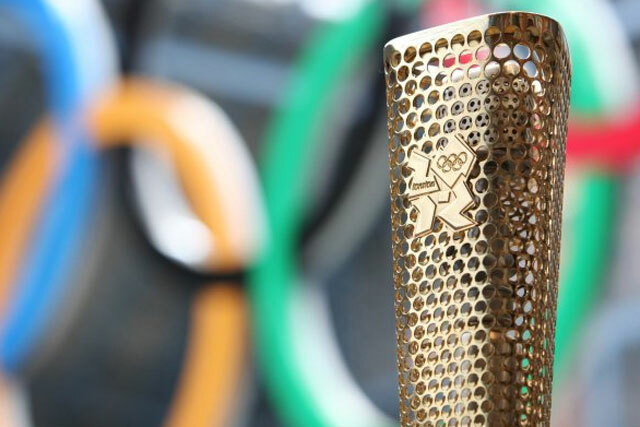 What has become increasing apparent as our Olympics analysis has progressed is that the torch relay has been the standout initiator of social media conversations about London 2012 and has boosted sponsor recognition. Over the last month the relay accounted for almost a third of all conversations about the Games. This is significant as it’s the ones that have featured prominently in the torch relay - namely Coke, Lloyds TSB and Samsung - that are being talked about. In June, Lloyds TSB’s Olympics-related buzz increased by 50% and over the same period Coca-Cola’s quadrupled. This may not come as a surprise to those who have seen the torch on its relay across the UK. The carnival atmosphere around the event encourages the consumers present to have both a stronger acceptance of and greater willingness to engage with the brands involved on social media platforms. While the unique environment of the relay has kick-started social media conversations for a select group of sponsors, most sponsors have not been able to initiate conversations with consumers in the glow of the torch. Some brands, such as Visa, have combated this through a large media spend. Others are being innovative - such as EDF's recently launched Energy of the Nation campaign to kick start their conversation. With the Opening Ceremony now just a couple of days away we will wait with baited breath to find out which sponsors have and have not benefitted from London 2012 being the first social Games. We’ll be back in August after the Olympics closing ceremony with the results of whether London 2012 truly was the first social Olympics and a deep-dive into how sponsors managed to make the most of the conversations around them and the Olympics. Starting in May, two months before the London2012 Opening Ceremony, GfK Digital started their Olympics research project which encompasses collecting 30,000 surveys between May and September, measuring the nation’s social media conversations and tracking digital behaviour to assess: 1) how people in the UK are interacting with London 2012 and 2) how brand’s sponsorship of the Olympics has impacted and influenced consumers. Has the Olympic effect fizzled out already? Think BR: Will London 2012 herald the next great innovation in sports coverage? Are the Olympics getting a head start with UK consumers?